It's not a party without paczki! 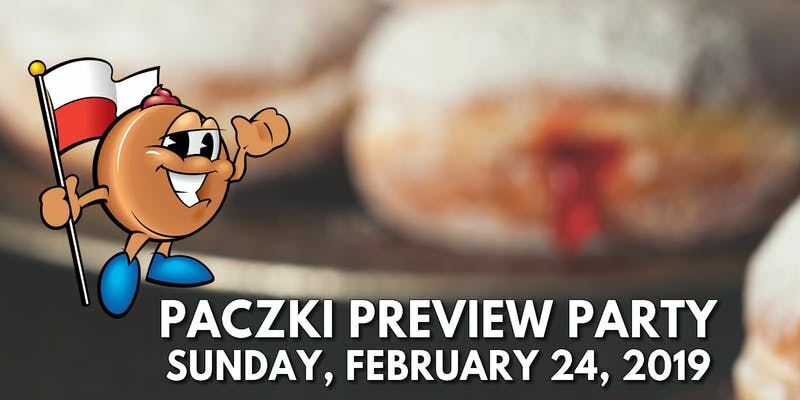 You're invited to join us to taste some of the best paczki from our member bakeries as we celebrate our favorite Fat Tuesday treat at our Paczki Preview Party! Tickets include our Paczki Passport which gets you two samples from each of the participating paczki vendors! Turn in your passport at the end of the sampling session for your chance to win a dozen paczki and to vote for your favorite paczki which will help determine the BEST PACZKI! All attendees will also receive mardi gras beads and a tote bag! Enjoy live accordion music by Jimmy Locke! Special guest appearances by Little Miss Polish Fest! We reserve the right to add more goodies to each ticket as well.